Here we summarises the results and experiences gained during our five-year research project entitled Mapping the CCI in the Czech Republic (2011–2015). We established cooperation with a number of institutions, and municipal representatives or experts. We can provide information about various studies, methodologies, and specific projects. The independent Creative Zlín Working Group was established in 2014. In January 2016, it was transformed into the first cluster in the Czech Republic specialising in the creative industries – the Zlín Creative Cluster. The concept of Makerspace is based on the fab labs that exist abroad. The workshop offers space for creating, experimenting, and producing. It also offers public courses in addition to membership, which allows both hobbyists as well as professionals to share a wide range of professional equipment at a lower cost. Local experts provide advice regarding prototyping, and will even produce small series orders. The process of mapping finished in 2016 and in April 2017 the final report was published. The study confirms the traditional status of the city as a centre of scholarship. The most significant cultural sectors in Olomouc are literature and print, followed by development and software, visual arts, and music. Cultural heritage has a particular significance due to the fact that the city and its surroundings are considered to be one of the most historically interesting regions in the Czech Republic. resubmitting it to the City Council. The results of an investigation have shown 25% of the proposed measures started to be implemented even without a valid strategy. as other cities. Nevertheless, over the course of the project mutual links and communication were established. 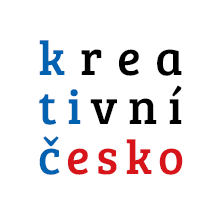 Creative Prague is a project undertaken by the Prague Institute of Planning and Development, with the aim of supporting the conceptual development of the cultural environment in Prague. It is based on the fact that no matter how long Prague has been profiling itself as a cultural metropolis, supporting living culture and creativity is not on the list of the city’s priorities. To date Prague has not successfully developed its creative potential in a way that matches what the city has to offer or its needs. for a new generation of craftsmen, is rapidly disappearing. For example, there is a definite lack of a distribution network and the strategic promotion of craftsmen on the part of the city and the region. Now the city is starting to work in cooperation with the region and, after the evaluation of the mapping document, is starting to define a strategy and specific supporting activities. the potential to create wealth and jobs, in particular by using intellectual property. nature, regardless of the type and method of financing used by the entity that carries them out. and can be a source of technological and non-technological innovation (creative and digital economy). CCSs have many other positive impacts on society and the specific individual.